Since Easter is coming up fast, I thought it'd be fun to write a little post about Easter gifts. Since there isn't much candy Carter can have (thanks, dairy allergy! ), or that I want him to have (so many scream choking hazard!) I like to concentrate on cute little "friends," baskets, and other fun Easter themed cuteness. 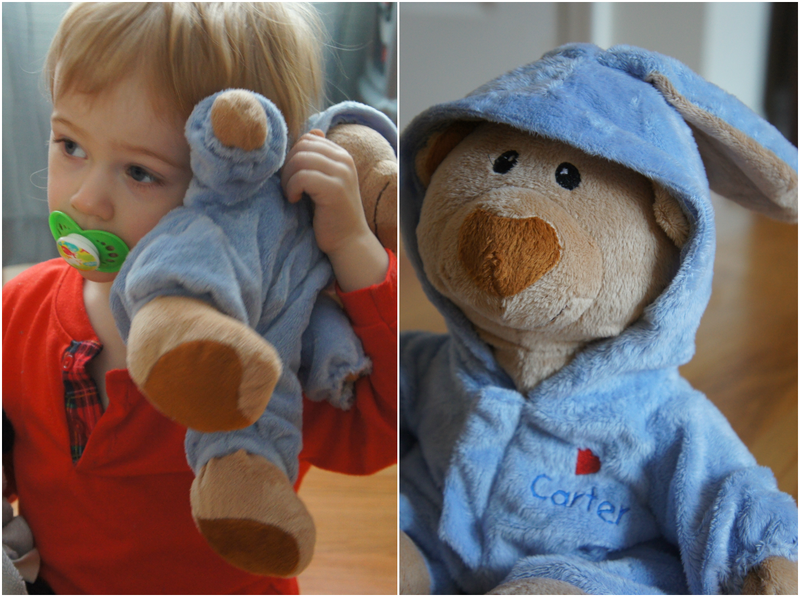 Personal Creations was nice enough to send this adorable pajama bear to Carter! He's in love, which I think is pretty obvious from the photos I got of him with "Bunny Bear"--I warned you that we're super creative with stuffed animal names. Carter has a thing for stuffed animals. He has plenty of them and he loves each and every one to death. Every day, he takes them out of one of his toy baskets and lines them all up in a half circle to face him, and then he plops himself down in the middle of it and stares at each of their little faces. Bunny Bear made it into the rotation very quickly, he's totally at home now, just in case you were worried about him getting lost in the shuffle. Carter's super organized with his stuffed animals, it's very serious business, I tell you. If you're in need of Easter gift ideas for your kiddos, nieces, nephews, or any cute kidlings in your life, head on over to Personal Creations' Easter page and I promise you'll find something. 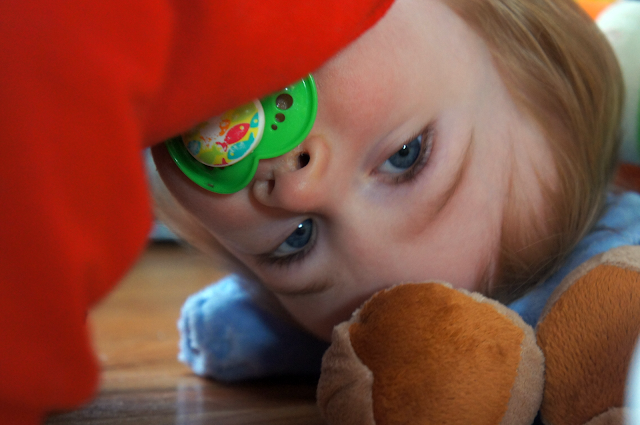 Oh and here's a hint: kids love things with their name on it. Amen? Carter can't even read yet and I swear he's thrilled about it. Check out his snuggles with Bunny Bear. Personal Creations supplied this product. All opinions are honest and are my own. Aww...the bear looks so soft and cuddly! so cute! 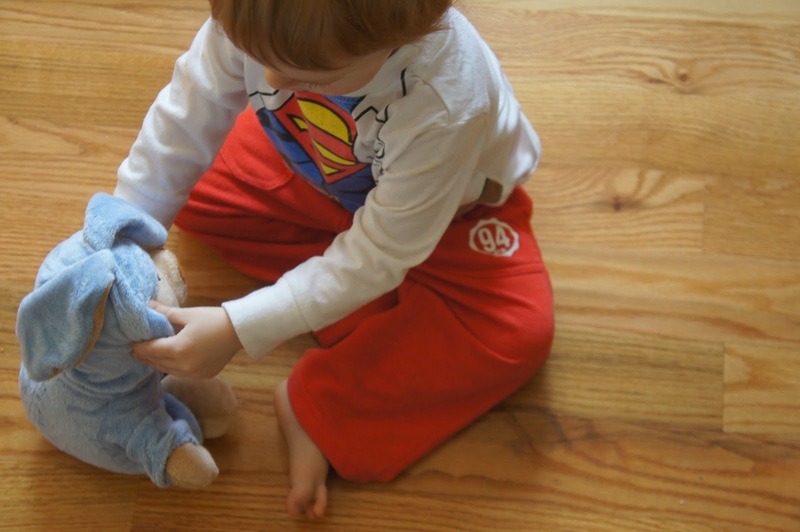 Love kids with their stuffed animals, nothing is cuter seeing them love on them. Oh man! I want one for my little guy!! So cute!! I went and checked them out...ugh so cute. I think I need one for my Emerald. He looks like he is so happy! What a cute bear! What wonderful ideas you have, Amy! No offense, but Cater steals this post. He is so adorable, and so is that bear with the personalized robe. That's super cute! Reagan is NOT allowed to have anymore stuffed animals. She has too many as it is!